and not enough time to write a blog. How poor! So may we take this opportunity to thank all our customers this year for their patronage. Due to so many orders over the Christmas period we can't take any more, but are looking forward to hearing from you in January. Also to let you know we will not be available from Feb 17th - Mar 16th 2018 as the boss is off to get her 'Japan fix' for a month. Yuko Sato of Ginko Sushi will be running a class for up to ten people. We have been kindly granted permission to hold this cookery session in the kitchen of Birley’s pavilion. Participants will learn about the key ingredients in sushi and how to prepare Japanese sushi rice. Using the rice we have prepared, we will go on to make two types of sushi roll – norimaki and uramaki California rolls. Once the lesson is over, Yuko will provide miso soup to eat with the sushi, along with a light pudding and tea or coffee. Each participant will create at least 30 pieces of sushi. No raw fish will be used. Please bring an apron, a passion for cooking and a large appetite. Boxes to take home any uneaten sushi will be provided! So if 1884 saw the first Japanese restaurant in London, what happened leading up to that. After all, Japan had been shut off from the rest of the world until 1854 when the US fleet of Commander Perry finally negotiated a trade agreement with the Tokugawa shogunate called the Treaty of Kanagawa. 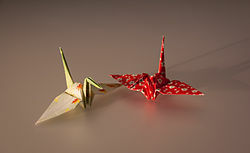 This was soon followed by the British, who agreed an Anglo-Japanese friendship treaty in the same year in Nagasaki (where trade had been uniquely continuing, during the 200 years of isolation, with the Dutch and Chinese) and followed this with its own Treaty of Amity and Commerce in 1958. Beyond commerce, this treaty permitted Britons to live in Edo (now Tokyo) from 1862 and Osaka from 1863. Sir Rutherford Alcock 1859 1864. Rutherford Alcock is of note for setting up the first legation (one step down from an embassy) in Tozen-Ji, a temple in Takanawa near Shinagawa (in Tokyo). The temple site is still there but the original buildings were lost in the War. Alcock is apparently the first recorded foreigner to climb Mt. Fuji and his successor's wife, Lady Parkes the first foreign lady to ascend. Hugh Fraser is also of interest, not least because he died in Japan and his grave is in Aoyama cemetery. Many of the graves at the Aoyama cemetery, including Fraser's, were under threat of removal and reburial elsewhere in 2005, for non-payment of maintenance fees. The deadline was the end of September 2005. Other famous persons buried in the foreign section include Captain Francis Brinkley, Guido Verbeck, Henry Spencer Palmer, Edoardo Chiossone, Joseph Heco and Edwin Dun. Ernest Satow was one of the most significant Briton emissaries in terms of time spent in Japan and thus time to accumulate detailed knowledge was . Experience was not limited to diplomats either. Josiah Conder, a british architect was chosen by the Royal Institute of British Architects for the post of professor of architecture at the Imperial College of Engineering, in Tokyo. He was a teacher of five famous Japanese architects: Tatsuno Kingo, Katayama Tōkuma, Sone Tatsuzō, Satachi Shichijirō and Shimoda Kikutarō who were among the first Japanese architects to build western-style buildings in Japan in the Meiji era. He also produced one of the first English language texts on Ikebana. And in the opposite direction, Japan sent its first Embassy to Europe in 1862. Incredibly, in 1863 the first five Japanese came to study at Univeristy College London. They were known as the Choshu Five, having been sent over by the powerful Choshu Domain (Clan). They were followed by members of the Satsuma Domain in 1865. According to the venerable Wikipedia and associated references 264 citizens of Japan resided in Britain in 1884, the majority of whom identified themselves as officials and students. But a few were probably chefs! Japan has such an array of noodle bars it would be difficult to pick the best. 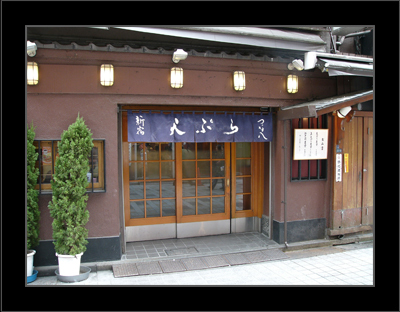 Traditional ramen, udon and soba outlets abound and everyone has their favourites. But if you want something a bit different and with some designer presence you can't do better than a trip to Tsurutontan. Another of Japan's 'specialist chains' it combines great taste, with fantastic presentation. In addition to the 'normal' flavours they have some of their own inspirations. On this visit I had udon carbonara which is pretty much carbonara with the udon substituting spaghetti and the creamy sauce instead being of a more drinkable consistency. Absolutely fabulous. Everything is served in oversized bowls for a bit of theatre and the photos here do not show emphasise the bowl size which is something like 30cm across. Imagine lunch arriving in something the size of a small designer washbasin and you'll be pretty close to the mark. Food photography is extremely difficult. Our photographs were taken by Patrick Boyd, who now has a dedicated food photography site called cookingongas.tv Take a look. Tesco instead bought C two network, a regional supermarket employing around 4000 people. This was more sensible than Carrefour (whose experience is the sort of story horror books are made of) but only just. Supermarkets are already intensely competitive in Japan and require things we don't consider here (like individually wrapped veg). I could never understand what Tesco was to offer in Japan and unfortunately it seems Tesco didn't understand either.